Jane Austen’s Sense and Sensibility reflects different attitudes to reason and emotion running through the century preceding its publication in 1811. The eighteenth century is sometimes called ‘the age of reason’ and ‘the enlightenment’ because of a philosophical emphasis on ‘sense’, ‘common sense’, prudence and rational thought — all qualities which define Elinor Dashwood in the novel. However, a simultaneous cultural and literary movement led to the same century being labeled ‘the age of sensibility’, because of an emphasis on feelings, expressive emotions and sympathy – all of which characterize Marianne Dashwood. 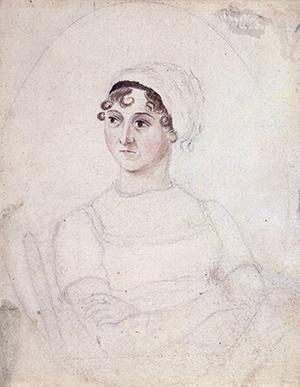 Austen clearly signals through her title that she is exploring through fiction the paradoxes in the two apparently opposite modes, thought and feeling, reason and emotion. One question that can be raised to focus this issue is whether her title poses a question – Sense OR Sensibility? – or a more inclusive statement to suggest a possible amalgamation of qualities – Sense AND Sensibility. Robert White is a Winthrop Professor in English and Cultural Studies at The University of Western Australia and a foundational Chief Investigator in the ARC Centre of Excellence in the History of Emotions 1100-1800. He has been an ARC Professorial Fellow. His publications are mainly in the field of early modern literature, especially Shakespeare, and also Romantic literature. Books include John Keats: A Literary Life (paperback 2012); Pacifism in English Literature: Minstrels of Peace (2008); Natural Rights and the Birth of Romanticism in the 1790s (2005); and Natural Law in English Renaissance Literature (1996), as well as many scholarly publications on Shakespeare. Most recently he has published Avant-Garde Hamlet (2015) and Shakespeare’s Cinema of Love (2016).